Five Feet Apart has been garnering a wealth of positive feedback on Twitter. The film is directed by Justin Baldoni of Jane The Virgin fame. Guaranteed to make you weep, Baldoni was inspired by a Cystic Fibrosis (CF) patient he met named Claire, who he consulted on Five Feet Apart but died before he could show her the director’s cut. When is Five Feet Apart out in cinemas? Five Feet Apart is released in UK cinemas on March 22, 2019, but the film is already out in cinemas in America. In 2012, Baldoni directed a documentary series and met Claire Wineland, a woman with CF, who inspired him to tell a story centred around the disease. “She was the one who told me that two people with CF have to stay six feet apart. What is the plot of Five Feet Apart? The official plot synopsis reads: “17-year-old Stella spends most of her time in the hospital as a cystic fibrosis patient. “Her life is full of routines, boundaries, and self-control – all of which get put to the test when she meets Will, an impossibly charming teen who has the same illness. “There’s an instant flirtation, though restrictions dictate that they must maintain a safe distance between them. 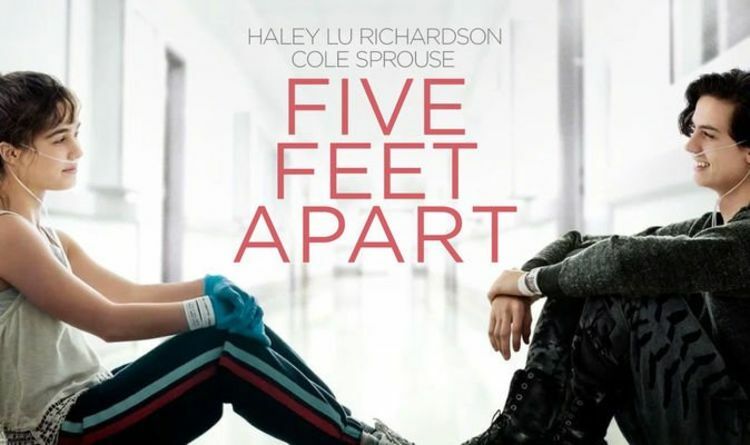 Who stars in the cast of Five Feet Apart? Other cast members include Emily Baldoni as Julie, Cynthia Evans as Erin, Gary Weeks as Jeff, Sophia Bernard as Abby, and Cecilia Leal as Camila. Is there a trailer for Five Feet Apart?